イラスト素材: Happy Easter greeting card. Happy Easter greeting card. 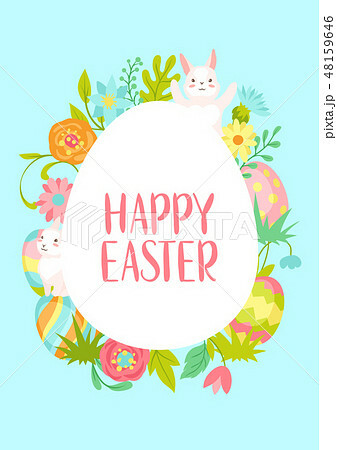 Cute bunnies, eggs and flowers for traditional celebration.